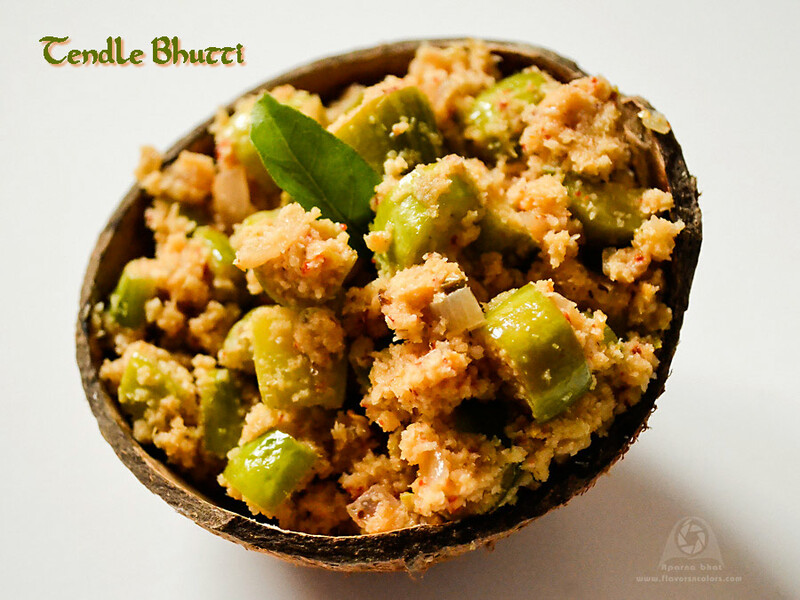 Tendle is konkani word for "ivy gourd/ gherkins" and bhutti is a side dish from konkani cuisine served with main meals. Wash, clean ivy gourds. Trim the ends of ivygourds and slice them in roundels or small pieces. Keep them aside. 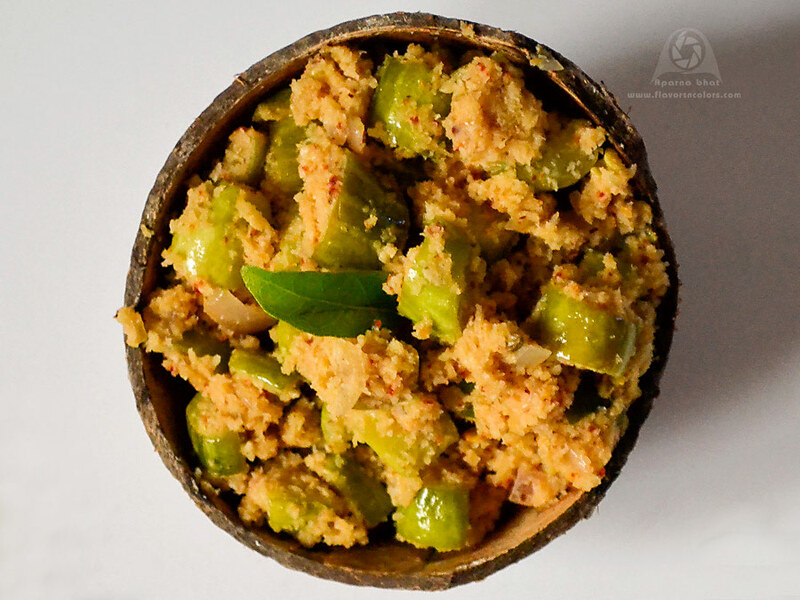 Grind together coconut, roasted red chillies, tamarind extract, coriander seeds coarsely. Add very little or no water while grinding the masala. Heat coconut oil in a pan. Add onions and saute them till they turn translucent. Next add sliced ivy gourd pieces and saute them. Cover the pan and cook it on low flame for 5 minutes. Add ground paste, salt, sprinkle little water [optional]. Mix well so that the gourds get nicely coated with ground masala. Cook till the gourds are done. Switch off the flame and serve them hot with main meals. Tastes delicious with rice and dalitoy/dal. You can also serve them with chappatis. Bhaji looks yummy! Love some with chappatis! @Apu: thnks,, yes ur re right would taste delicious as accompaniment with chappatis !